Crafting things is a great pleasure. It’s so nice to hold in your hands a beauty and know you have crafted it from start to end. 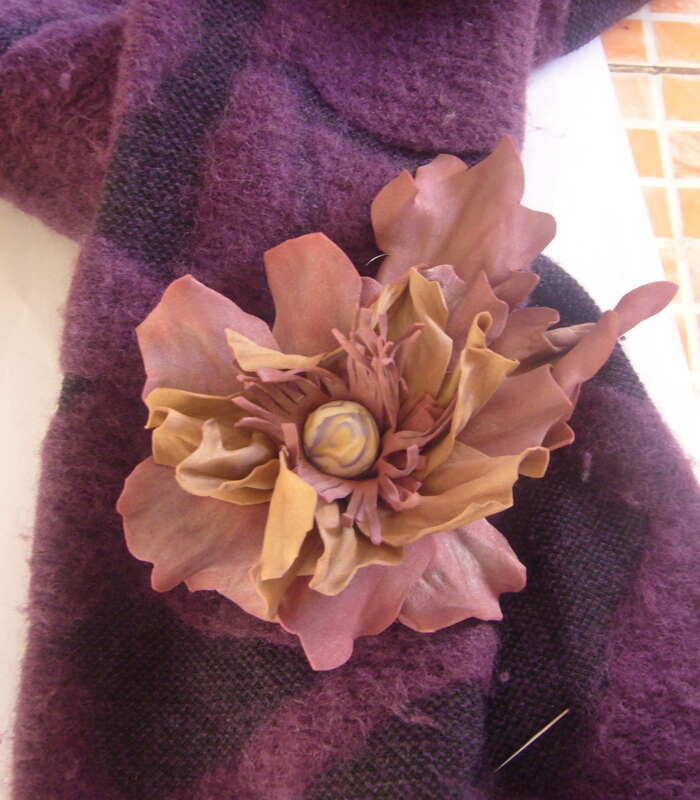 This is one of my most satisfying projects – handmade brown flower brooch. The brooch is made out of new material called Foamiran or Foam. It is a sort of rubber that possesses great measure of elasticity. It greatly resembles leather, but this material is much easier to work with. 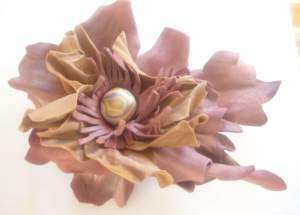 The flower is literally handcrafted, because when making flowers out of foam, you have to rub the materials in your fingers to warm it up. Once it gets warm, you stretch it and twist it with your hands to create flowery structure to the leaves.